It has only been a few days since the announcement that you passed away, and as a fan, I was devastated when I heard the news. Whether it was your deep raspy voice, your Brooklyn accent or the fact that you were brutally honest, you left as one of the most memorable comedians of this era. Many people did not know that you were a musician, author and proud father but my hopes are that this letter will describe the true entertainer you truly were. The first time I discovered your comedic work was when you appeared on Chappelle's Show during the first season. I had to rub my eyes twice because you looked so much like Eddie Murphy and after searching your previous material online, it was then that I realized the two of you were brothers. One of the best episodes of the show was your story about Eddie and how you used to spend time with him while brushing shoulders with his celebrity friends. Whether you knew it or not, your persona was one of the reasons millions of viewers around the world kept tuning in to watch. Your stand-up material about Michael Jackson was quite shocking; maintaining your opinion that he was guilty of the alleged crime. I thought you were going way too far with your material, but you were simply showing us who you are. After I had watched your interview on The Breakfast Club Power 105.1 FM, I was impressed to hear about your sons and how you handled being booed at Grambling State University. You showed us that you were a man of your profession when you explained that the most professional comedians are responsible for people in the crowd "booing" because they need to identify their audience and deliver epic content to make the crowd laugh. Also, you revealed that you did stand up comedy at Harvard and Yale which was an impressive addition to your resume most never knew. The most epic part of your career (for me anyway) was the Prince skit on Chappelle's Show when you wore a greasy Jheri curl in a white striped, gray suit around the time the song "Purple Rain" was released. Your hilarious description of Prince dressed in a purple blouse with his friends in the middle of a nightclub was timeless. When you laughed at Prince when he challenged you and your friends to play basketball, and you busted out in that laugh, I couldn't contain myself. The look on your face when Prince embarrassed all of you on the basketball court had me laughing to tears. It was a classic moment on the show. If it wasn't for your voice narrating the episode, it would not be as popular as it is today. I know what fans are thinking. We can't forget about the Rick James skit. It was shocking to find out that you were star struck by Mr. James and you saw an aura around him upon your first meeting. What was even more surprising is you described him as being a "habitual line stepper" (disrespectful) because he challenged your manhood when he hit you on the forehead with his UNITY printed gold ring. Most people watching thought you were going to calm down and go home but your Brooklyn swag wouldn't let Rick walk away unscathed. Even Dave Chappelle couldn't go to Disneyland without fans at the park yelling out the infamous "Rick James" line thanks to you and your story. 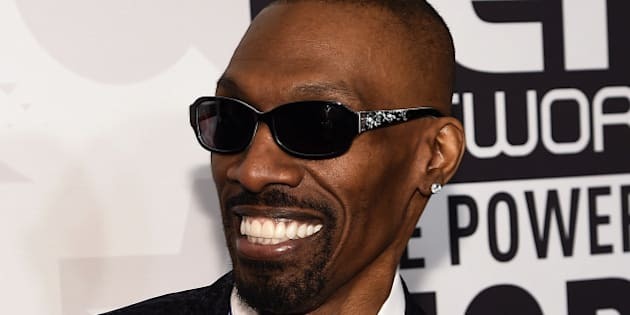 When you played the black stereotypical character as an NYC gangster who intimidated your white roommate, we all knew you were wrong but at the same time, you pushed the limits with Dave Chappelle on race, classism, and discrimination and that's what made you a one of a kind comedian in the same vein as Richard Prior, Dave Chappelle, and the other straight forward black comedians we enjoyed watching. You were bold and unafraid to push the limits. Not only were you a comedian but you used your writing skills to paint a picture about some of the most memorable moments of your career. When the news was out that Dave Chappelle's 2017 Netflix show was approved, I watched every moment of it hoping that you would come out and share a story about another celebrity moment. Although we did not get a chance to see you on stage, I was hoping to see you again in the future. With your catalog of comedic work, it would be nice to see more upcoming comedians open up about discrimination and racism. It would be good to see more comedians step out of the 'jokester' role and become businessmen like you; as authors, writers and voice artists. May your three children, Eddie and the rest of your family walk as proud Murphy's. You will never be forgotten, Charlie. Read more stories on ByBlacks.com.